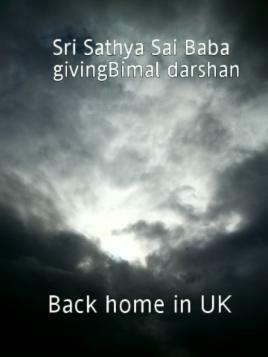 Baba Gives his divine darshan in the sky to Bimal Pandey. 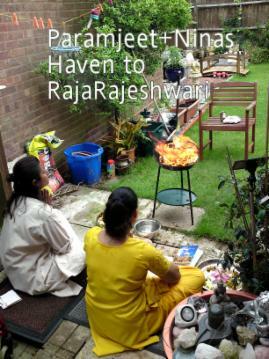 Dussera 28th of September 2009 Mr and Mrs Pandey performed a havan Reading from the divine book Swami and Amma travel in the ocean of truth for Sathya Vijaya. 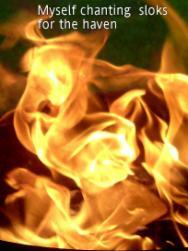 Bimal Pandey is a devotee of goddess Parvati in this Birth and in his previous births also. 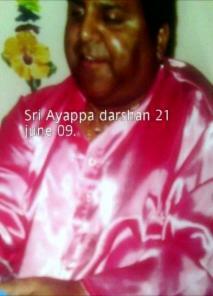 Because of his devotion and love for Amma Bimal worships an idol of Goddess Parvati in his home. 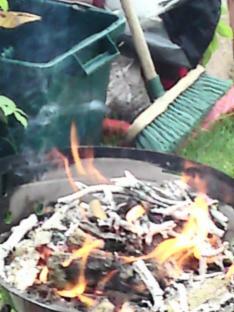 During the dussera havan Bimal brought the same form of Goddess to appear within the fire. 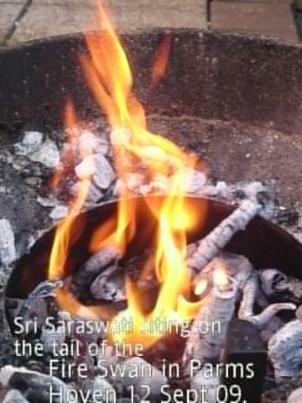 Here Shows Lord Ayyappa Lying down in the fire. 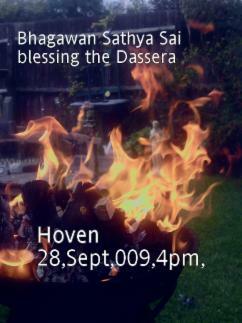 On the 20th of September 2009 Bimal Pandey peformed a divine Havan for Dussera. 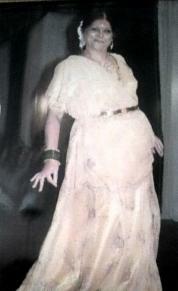 Many forms of gods and goddesses appeared. 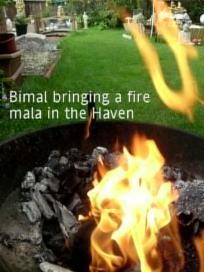 Bimal Brings Mother Goddess Amma form same as the picture out from the divine havan. 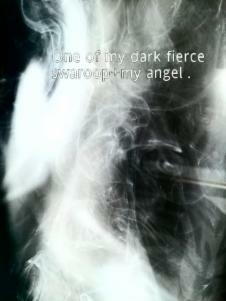 Here a being visits Bimal for help guided by her higher self. 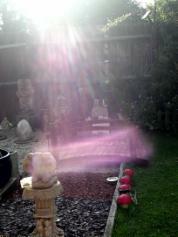 In this picture there are two divine forms one is Baba and the other is Bimal. 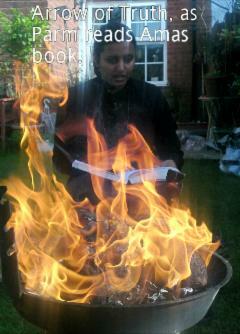 5th September 2009 Bimal Pandey Performed a Havan. 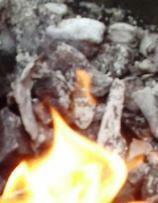 During the Havan divine foms appeared. 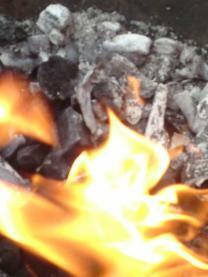 Divine form within the ash of the havan. 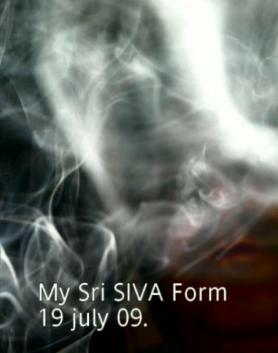 Here is a form of Bimal Chanting slokas from a book which infront of his form. 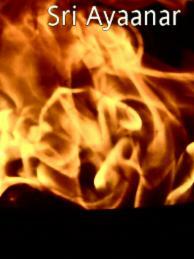 Sri Kala Shastra in he fire. 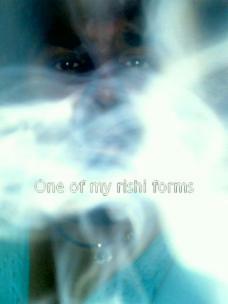 An angel has appeared on the right hand side of Bimal's face in the smoke from the insence stick. On the 3rd of August 2009 Bimal pandey was eating Cherries he took out the seeds and put them in a tissue paper. 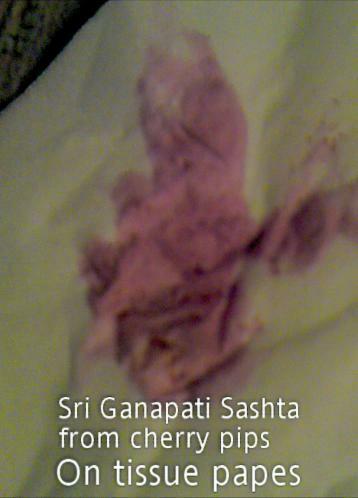 Below you can see divine forms that have appeared in the tissue paper. Above are some of the seed that were put on the paper. 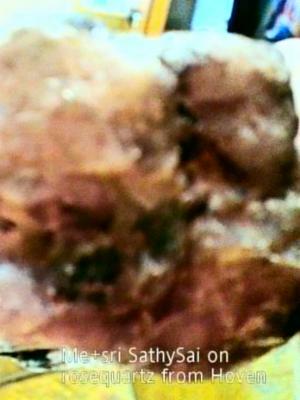 Here is a form of Bimal's that has cut of the head of negative force and is holding the head in his hand. 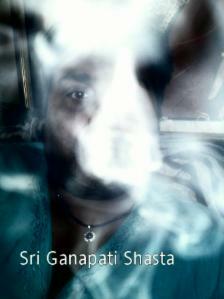 Sri Ganapathi Shasta side profile. 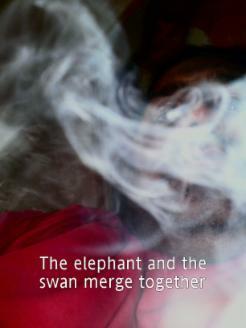 You can see Sri Ganapaths is wearing a turban like head dress and the trunk curled upwards. 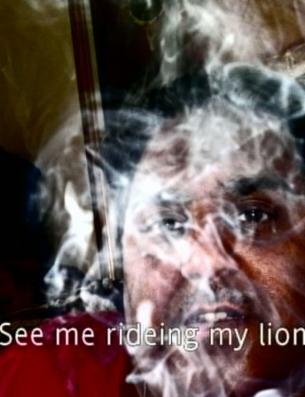 Sri Ganapathi is stitting on a throne. Above is Lord Ayyappa who is in the middle sitting on a divine unicorn. Side profile mother form of Bimal with a scarf over her head has formed holding a baby. 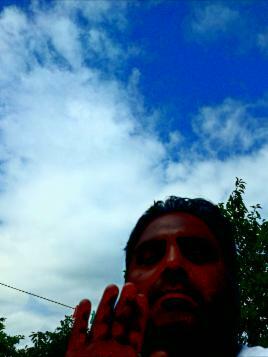 Two faces in this picture Here is a divine being is holding a heart for Bimal. 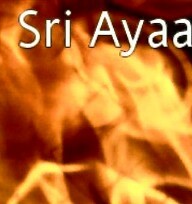 Above is a picture of Bimal Pandey and on Bimal's Kurta top in the middle over the buttons Lord Ayyappa can be seen and next to Lord Ayyappa on the left is the form of Goddess Amma in the light. 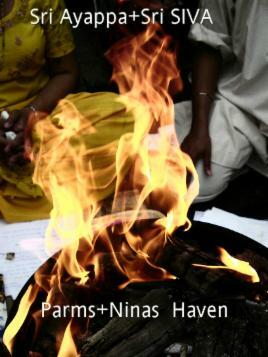 4th July 2009 Parmjeet Pandey and Nina Beghal performed their first Havan (fire worship) in the name of godess Rajarajeshwari/Durga where many divine miracles appeared. 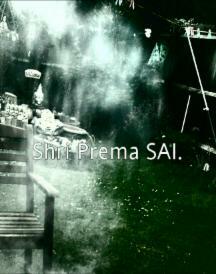 Aum Sri Bhagawan Sathya Sai Baba gives his Divine blessings from the sky behind Bimal during the Havan. 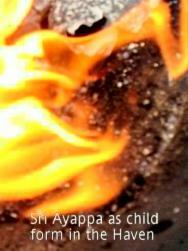 The face of Sri Prema Sai appears duing the havan. 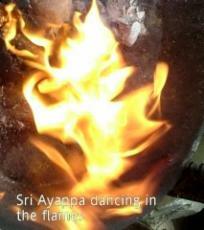 Sri Ganapathi in fire form. 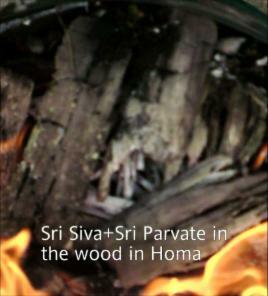 Lord Shiva nad Goddess Parvati are seated on their throne within the fire. 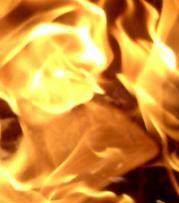 Lord Ayyappa forms in the fire The Body Of Lord Ayyappa is angled to the left of the picture. 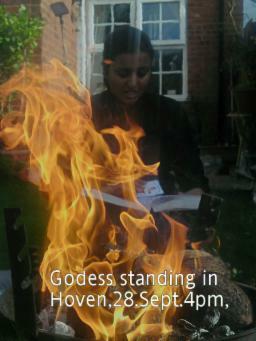 Sri Goddess appears in the Havan dressed in a yellow fire robe. 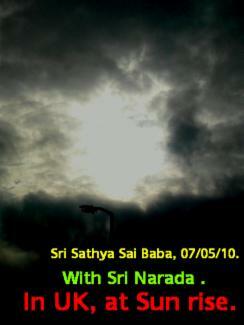 Aum Sri Bhagwan Sathya Sai Baba give his divine blessings from the sky. Divine Blessings as Bimal Pandey adds a bridge to his spiritual garden where all the gods are living. On the 7th August 2009 Bimal Pandey did his early morning prayers in the picture you can see swami has appeared giving his divine blessings to Bimal.